The aim of this lesson is to legally and safely turn left at an intersection with a Stop sign. 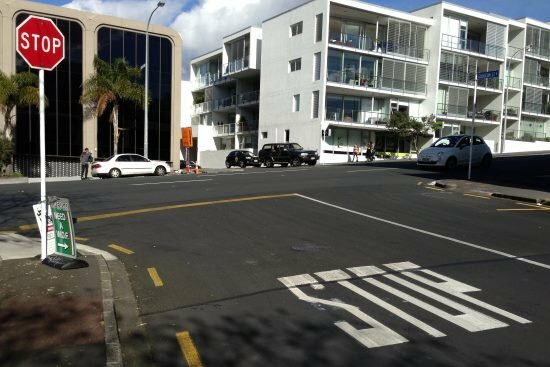 You’ll need to be driving in a 50-60kph zone on a two-way road with a 90-degree turn at an intersection that has a Stop sign, i.e. you will be the one stopping and giving way. Stop your car in a place where you can see approaching traffic, but make sure you are not obstructing approaching traffic.